Being an active member of the Van Buren Chamber of Commerce is good for business. There are numerous ways your organization and its employees can be involved with the Chamber and help make a difference in the community. The primary purpose of the Economic Development Committee is to assist the Chamber in the areas of business retention and expansion, which accounts for 80% of job growth. The committee helps connect businesses to the Arkansas Economic Development Commission (AEDC) and coordinate with AEDC and City leaders to utilize tax incentives offered by the State of Arkansas. The committee helps promote workforce development and education in preparation for future growth and seeks to attract new industry to the area. Committee members also represent the Chamber’s interests with key groups, including the Fort Smith Regional Alliance and the Western Arkansas Planning and Development District (WAPDD). 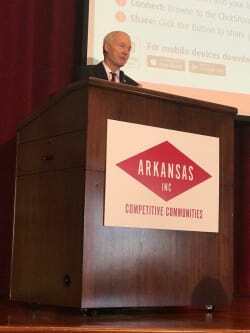 In 2018, Van Buren was named one of four pilot cities for Governor Asa Hutchinson’s and AEDC’s Competitive Communities Initiative (CCI). The new initiative is designed to help communities recruit and successfully compete for new job prospects and economic development dollars. Goals include to help local leaders: better understand the community’s strengths and weaknesses; learn from best practices; receive guidance from seasoned economic development professionals; educate leaders on its community’s competitive standing and readiness; and utilize the outcome of the evaluation to improve efforts for attracting investments and jobs. The Chamber’s Economic Development Committee will work in cooperation with city and state leaders in this process. Today’s students are tomorrow’s workforce, as well as our next generation of leaders. The Chamber Education Committee exists in order to encourage strong ties between the Chamber, the Van Buren School District (VBSD) and higher-education institutions. 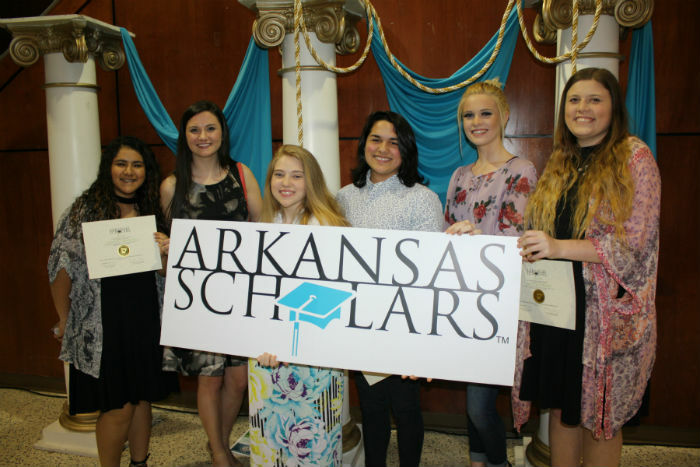 The committee coordinates Arkansas Scholars, which encourages academic achievement and good attendance. Students also have the chance to interact with local leaders through the monthly lunch series. The initiative is designed to foster networking with area businesses and potential future employees. The Van Buren Chamber also awards an annual scholarship to a graduating senior. In 2017, the committee coordinated a visit from the “Be Pro, Be Proud” Workforce Workstation. The statewide initiative seeks to address the shortage of workers in skilled trades, by teaching students about the value of technical careers. The unit gave Van Buren High School students hands-on experiences in fields such as welding and manufacturing. The Chamber’s ability to drive economic and workforce development is highly dependent on its relationship with legislators and local leaders. The Governmental Affairs committee works closely with lawmakers and area officials to help impact change and push for progress for our region. The committee also advocates for the needs of local businesses and citizens. Each year, the committee brings together these key stakeholders for the Dishin’ Up Democracy event. Governmental Affairs is also responsible for hosting candidate forums during election seasons. Chamber staff coordinate with committee members in planning and executing special events throughout the year. Committee members assist with securing sponsors, setting up decorations, assisting at the venue, and other event-related tasks. Events include the Chamber’s Annual Meeting & Business Expo, the Chamber Golf Classic, and Festival of Trees. Chamber Ambassadors, serve as the "boots on the ground” for the organization, helping to support members and promote the Chamber’s mission throughout the community. Led by Co-Chairs Beverly Johnson and David Short of Citizens Bank and Trust Company, Ambassadors play many important roles. One of their primary functions involves membership recruitment and retention. Ambassadors help call on new businesses to share with them about the benefits of Chamber membership. They attend ribbon cuttings and grand opening ceremonies and help members celebrate moves and milestones. Ambassadors also encourage involvement among long-time members through networking at Chamber events including the monthly Business After Hours gatherings. Ambassadors are also on the scene at Chamber functions held throughout the year. Participants volunteer their time setting up, serving at, and tearing down events. These include the Golf Classic, Dishin’ Up Democracy, Annual Meeting & Business Expo, and Festival of Trees, among others. Participation requires that individuals be employed by a Chamber member. Ambassadors are chosen by existing members and other Chamber leaders. 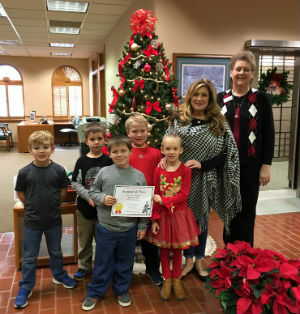 Participants must be active in the organization and regularly volunteer their time at events, meetings, ribbon cuttings, and in helping to recruit new members. 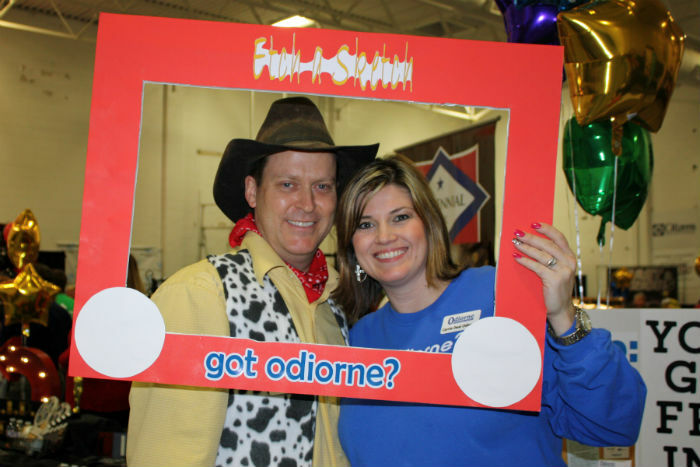 The Chamber has volunteer needs throughout the year, including help with administrative tasks and at special events. Such opportunities are great for those who can’t commit to serving on a committee or as an Ambassador, but still want to serve the organization. Our staff is happy to work with you or your employees to find a volunteer role suited to your skills and availability.